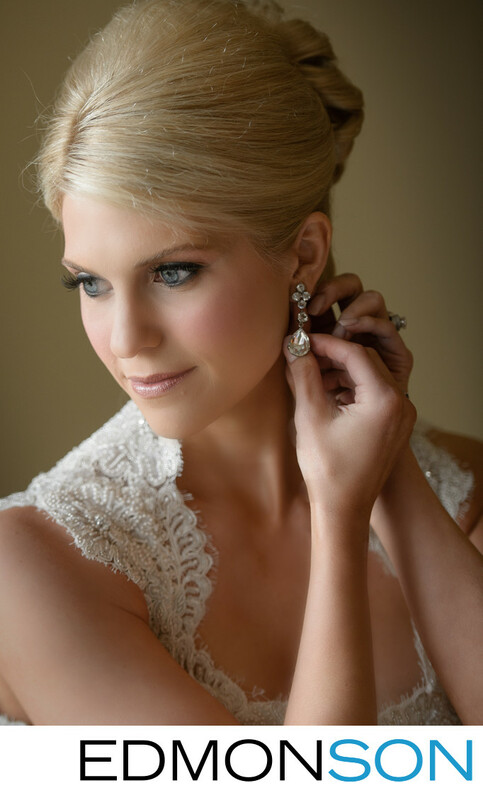 A simple backdrop of one of the suites at the Four Season's adds a warm tone to this wedding photo of a bride adjusting her earring. Her soft and elegant hands add a tender feeling to this beautiful woman. 1/250; f/4.0; ISO 800; 112.0 mm.